Convenient location in Sudbury for shopping. Another great return to my fav place to stay in Sudbury! 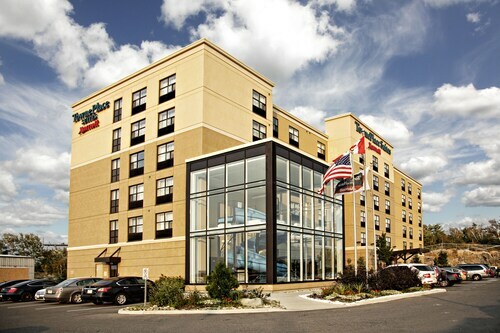 We had an excellent stay at the Holiday Inn in Sudbury. We were in Sudbury to visit family over the holidays. We came to Sudbury, in part, to check out the shopping, and this is the perfect location to do this. Where to find Sudbury hotels near an airport? Where can I find hotels in Sudbury that are near tourist attractions? 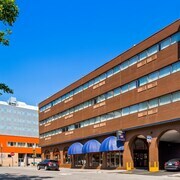 If you are choosing where to stay in Sudbury, there's a wide assortment of suitable possibilities. The Expedia database contains no less than 23 places to stay within 0.1 kilometres (0.06 miles) of the center of Sudbury. 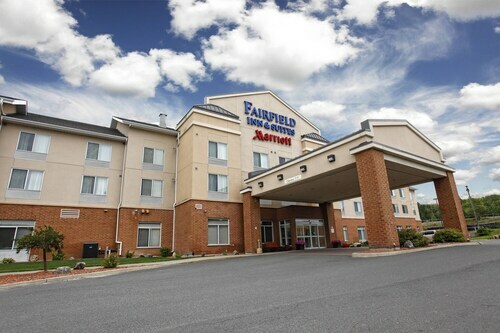 Sudbury's city center is within walking distance of accommodation like TownePlace Suites by Marriott Sudbury and Fairfield Inn & Suites Sudbury. 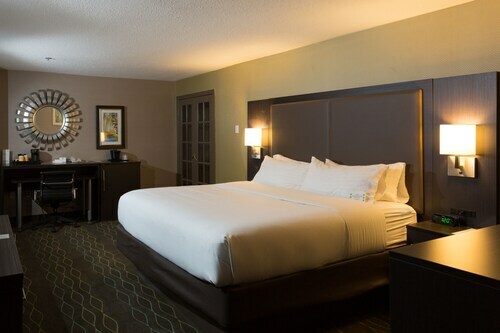 Families, students and those watching their budget will find some nice Sudbury room options that won't blow holes in the wallet. The Moonlight Inn and Suites is 4 kilometres (3 miles) from the center of Sudbury, while the Sudbury Inn is 11 kilometres (7 miles) away. Different affordable accommodation options include the Knights Inn Sudbury and the Valley Inn Motel & Suites. 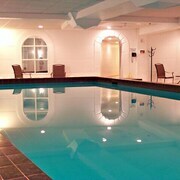 10 kilometres (6 miles) from the heart of Sudbury, is the Homewood Suites by Hilton Sudbury. 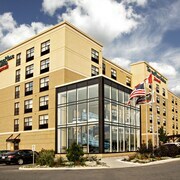 The Holiday Inn Sudbury is situated 10 kilometres (6 miles) away. 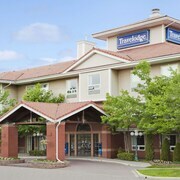 Two more hotel options worth looking into are the Hampton Inn by Hilton Sudbury and the Radisson Hotel Sudbury. Why don't you broaden your horizons and visit the many delights of Northern Ontario while you are in the area? Northern Ontario is marked by forests, rivers and lakes, and commonly visited Northern Ontario sights include old towns and art museums. Popular activities in this particular part of Canada include snowboarding, skiing and cross-country skiing. The closest places to spend the night in Northern Ontario are McKerrow and Sturgeon Falls. McKerrow is 70 kilometres (43 miles) to the west of Sudbury, while Sturgeon Falls is 80 kilometres (49 miles) to the east. Hotels and apartments in McKerrow are the Pinewood Motor Inn and Alta Vista Motel. 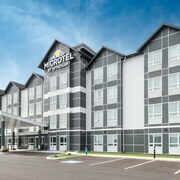 While hotels include the Comfort Inn Sturgeon Falls and River Mist Inn. If enjoying sport is a favourite pastime, make the time to visit Sudbury Arena, which is 7 kilometres (4 miles) to the southwest of Sudbury. 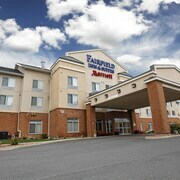 Sleep near the action at the Comfort Inn Sudbury or the Clarion Hotel. Why not visit our Sudbury travel guide and discover the terrific things to do, see and eat this part of the world offers visitors. 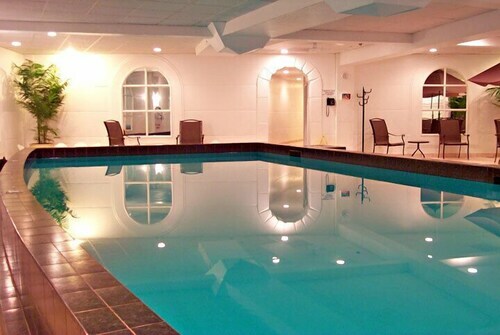 What are the most popular Sudbury hotels? Are there hotels in other cities near Sudbury? What other types of accommodations are available in Sudbury? Explore Sudbury with Expedia.ca’s Travel Guides to find the best flights, cars, holiday packages and more! Flights from Detroit Metropolitan Wayne County to Cardiff Intl. Flights from Seattle Tacoma Intl. to Baiyun Intl. Flights from John G. Diefenbaker Intl. to Sialkot Intl. Flights from Winnipeg James Armstrong Richardson Intl. to Eloy Alfaro Intl.